Located on the first floor , near the pool area our guests can find fitness centre which is open from Monday up to Sunday, 10:00-22:00. Our guests will be provided by towels, slippers and bathrobe in order to feel comfortable and satisfied. Hey Buddy!, I found this information for you: "FITNESS-CENTRE". 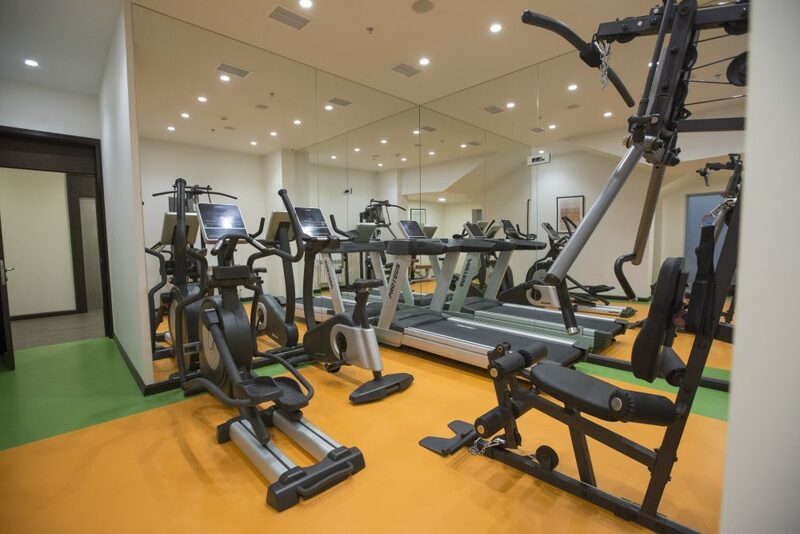 Here is the website link: http://araratresort.ru/fitness-centre/. Thank you.